It’s been a while since I posted and I have acquired quite a few new bits over the last month or so which I really love and wanted to share. 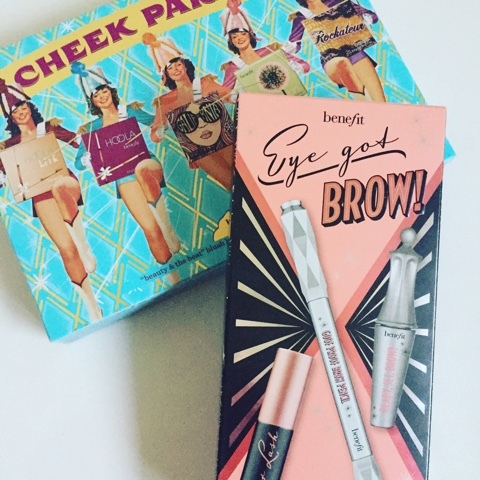 This amazing blush palette from Benefit contains a few old favourites and a couple of new ones for me. 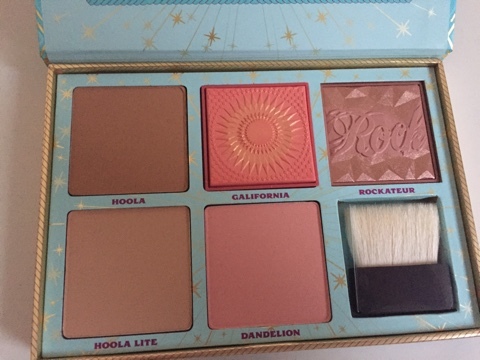 There are 5 full size blushes/bronzers in the palette: Hoola, NEW Hoola Lite, NEW Galifornia, Rockateur and Dandelion. 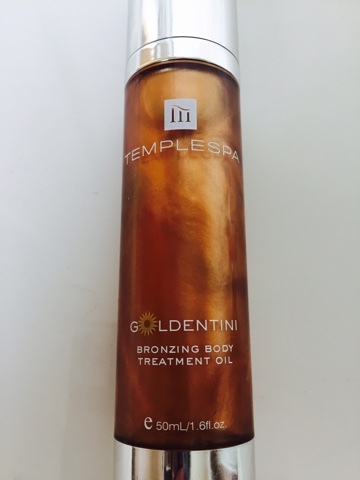 Goldentini is a wash off body oil which gives skin a hint of colour and moisturises beautifully at the same time. It gives an instant boost to legs or any other part of your skin you have on show. Looks great on the décolleté or shoulders. 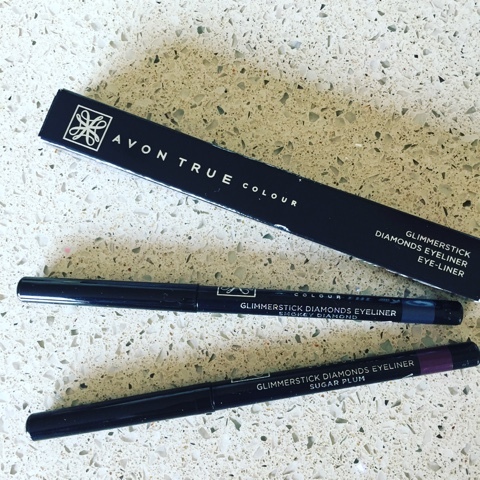 I have dipped in and out of Avon for years but they seem to have some great makeup at the moment and it’s great value, so good for on trend colours. The Glimmersticks are creamy, non dragging eyeliners and they come in a great range of shades. I chose the Sugarplum to enhance my brown eyes and also the Smokey Diamond which is a grey/blue shade another one that is great for all eye colour’s. They go on really easily and last well too. An absolute bargain at £6 here. This mascara does what it promises and makes lashes look incredible without the use of false ones. 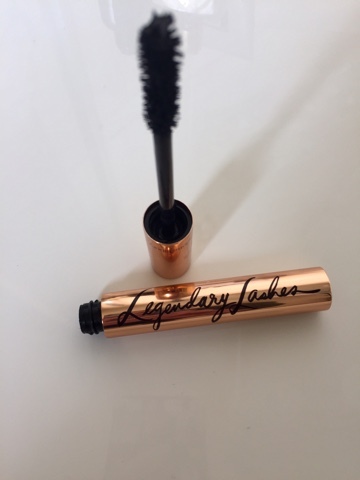 It has a really thick brush to help enhance your own lashes. The colour is a gorgeous glossy black shade. I use in conjunction with eyelash curlers to really enhance my lashes. The only downside I find with this mascara is it tends to leave smudgy deposits around the eye area. It doesn’t seem to put people off though and Legendary Lashes has just won the ‘Best New Makeup Product for Eyes’ – Prestige category in the much anticipated CEW awards 2017, which is a huge accolade. 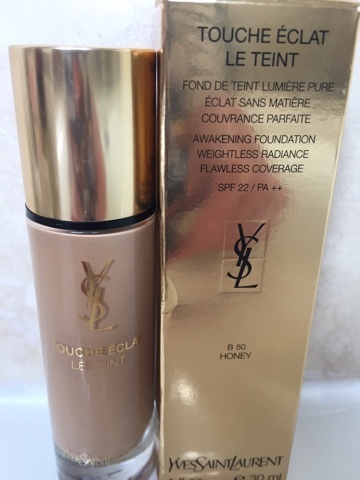 I used this foundation a few years ago before they changed the formula slightly and I have only just got back round to trying again. The new formula seems better to me as it has slightly more coverage than the old version but still leaves skin looking dewy and bright. I have really dry skin and this foundation really seems to work for me. It gives great flawless coverage whilst not leaving my skin feeling dry, tight and too ‘overdone’. It definitely improves the appearance of skin and makes it more radiant. 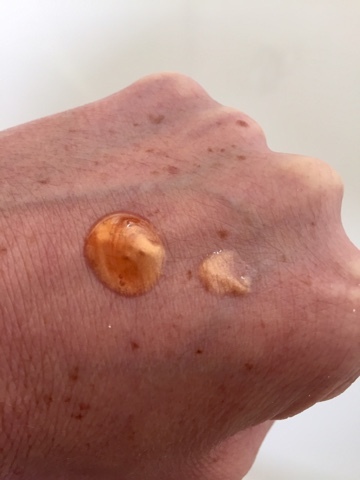 I have also changed shade in the new version and gone down a shade to honey which is a great match to my skin and will be perfect over the summer when I have more colour. £32.50 here. 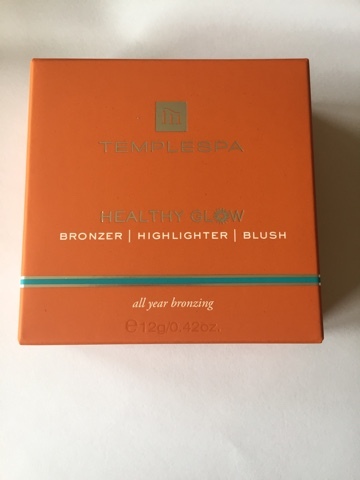 Another offering from Temple Spa and another amazing blush/bronzing kit. 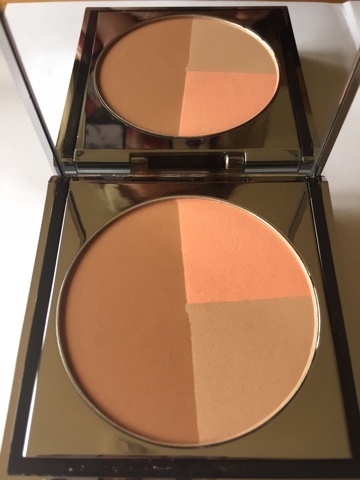 This palette contains a bronzer, blush and highlighter which can be used together to create a really natural bronzer or on their own as a contour kit. I have also seen few video’s of people using as an eye palette as the shades are very wearable. I have used both ways and I love the peachy blush shade which I have used a lot on it’s own. This is another favourite of mine for use over the next few months. Finally, the last of my favourites this month. A well known old favourite for many but new to me! 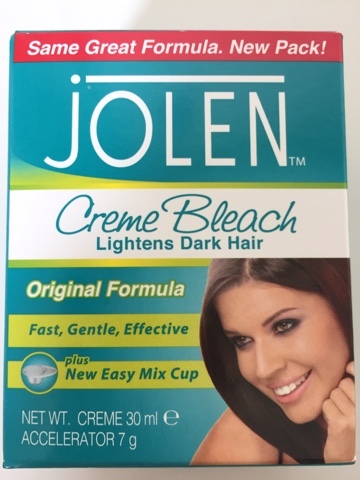 Jolen is a crème bleach which helps to lighten dark hair and is used by many on facial hair. It is really versatile and can be used to lighten hair on the arms and also used on brows to get a fashion effect. It is really easy to use and gives great quick easy results. 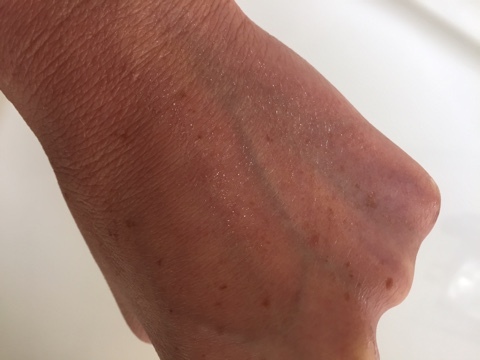 I have used on my arms to make the hairs less noticeable and I know loads of people who use on their face as they don’t like waxing or threading the upper lip area – this is definitely a lot less painful! £4.35 here.